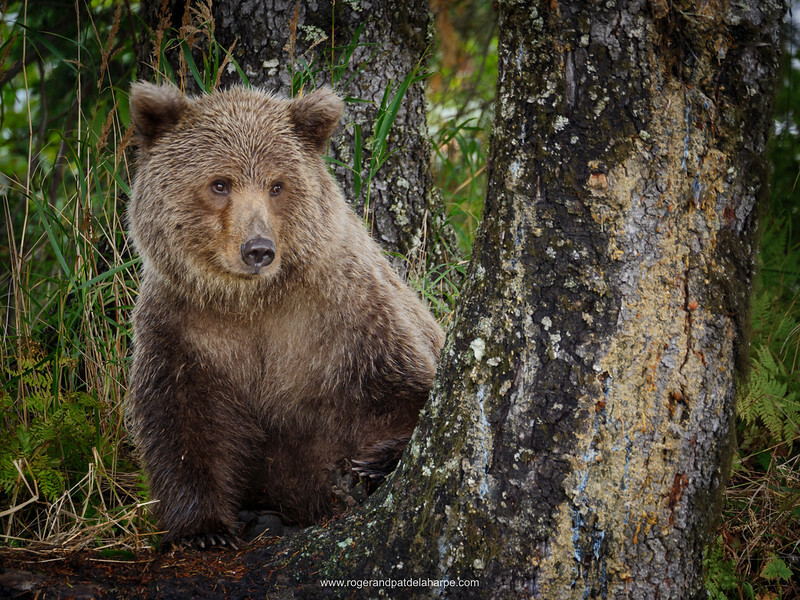 Grizzly Bear Cub - Roger and Pat de la Harpe Photography - Photographs, Video and Stock Images. Isn't he cute? This little grizzly or brown bear cub wandered into a copse of trees close to camp and we made the most of the opportunity, shooting a bunch of images on our Panasonic GH5 cameras. The lens was Leica's wonderful 100-400 and our Manfrotto monopods helped keep things steady.